The Welsh timber industry faces a terminal threat from a shortage of wood caused by decades of under-planting, a leading politician has warned. 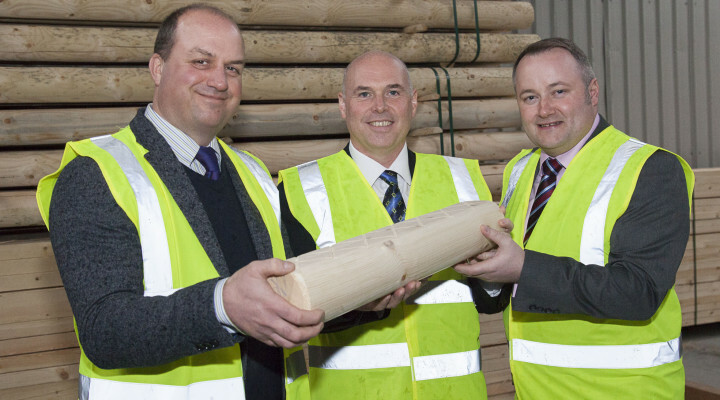 Paul Davies, the Shadow Minister for Rural Affairs, was speaking after a visit to Clifford Jones Timber, the UK’s largest manufacturer of fence posts, in Denbighshire. 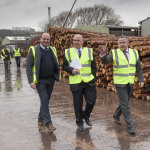 The company, which processes 100,000 tons of timber a year at its Ruthin headquarters, has said that a failure to meet conifer planting targets was turning Wales into a tree-free zone and threatening an industry employing 11,000 people and worth over £450 million a year. Mr Davies, Conservative AM for Preseli in Pembrokeshire, said: “The industry faces a major problem of supply and it’s important that the Welsh Government should take urgent action with much more tree planting or the timber industry won’t have a future here in Wales. 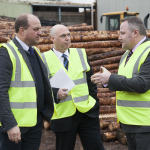 He was accompanied on his visit to Clifford Jones Timber by local Conservative AM Darren Millar who said: “It’s a real shame the Welsh Government and other stakeholders haven’t recognised the massive growth potential in this industry. The two AMs were given a tour of the plant which as well as producing over two and a half million fence posts a year also uses the wood, bark and all, to also make laminated timber for the construction and leisure industries, gates and dried logs and provides the residue to make over 25,000 tons of pellets and briquettes. The company was founded in 1948 and employs over 80 staff at Ruthin and at a second plant at Gretna in the Scottish borders. 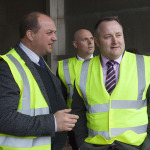 It is now headed by Richard Jones, the third generation of the family, and he said: “Within 20 years the supply of timber from Wales is going to drop off a cliff because of a lack of planting since 1990. “By then we will have missed the boat but if Natural Resources Wales could step up the planting of conifers here where we have the ideal growing conditions for them it would send a signal to the industry that there is a future for it. 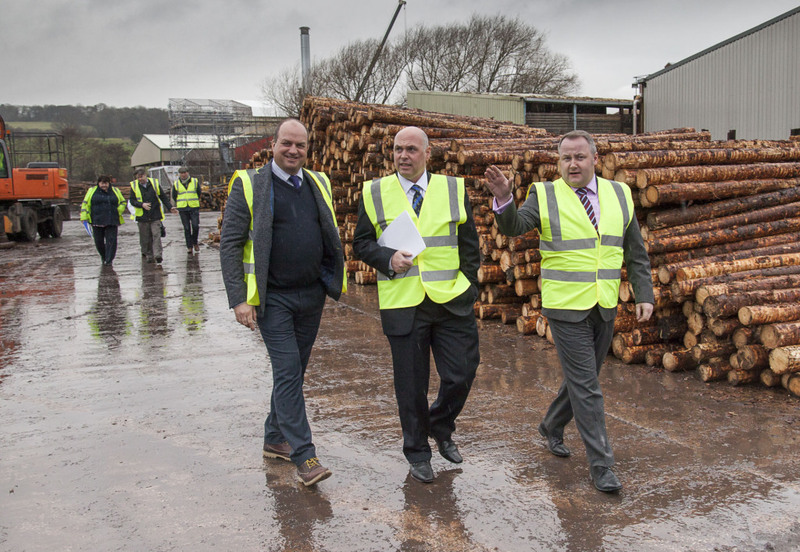 “We run one shift here at Ruthin but if the supply was there we could run two or even three shifts and that would mean many more jobs here and at sawmills across Wales. “There are big investors who would be willing to put money into timber and tree-planting because the rewards are there but there is also a problem getting permission to plant. 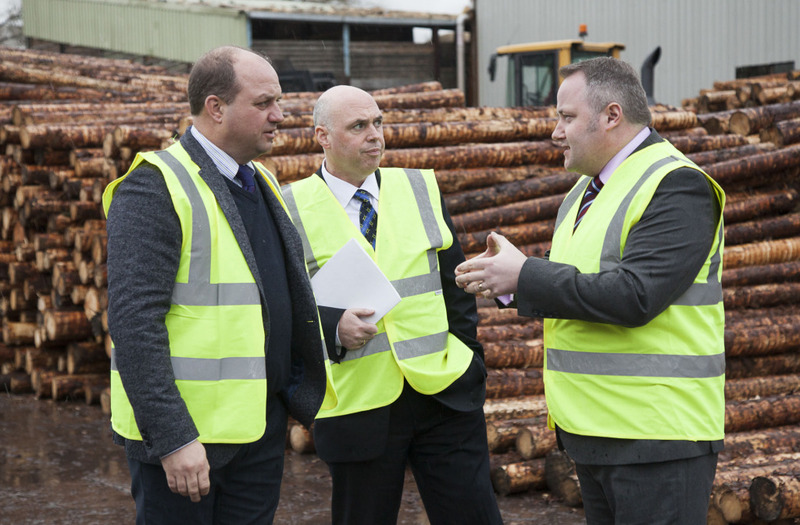 “There is now so much demand for timber because as well as the traditional customers in the farming and construction industries there is a massive new demand for biomass fuel for energy. Clifford Jones Timber are proud of the fact that nothing from their purchase of over 100,000 tons of timber annually is wasted and that nothing leaves their Brickfield Lane premises without an invoice. 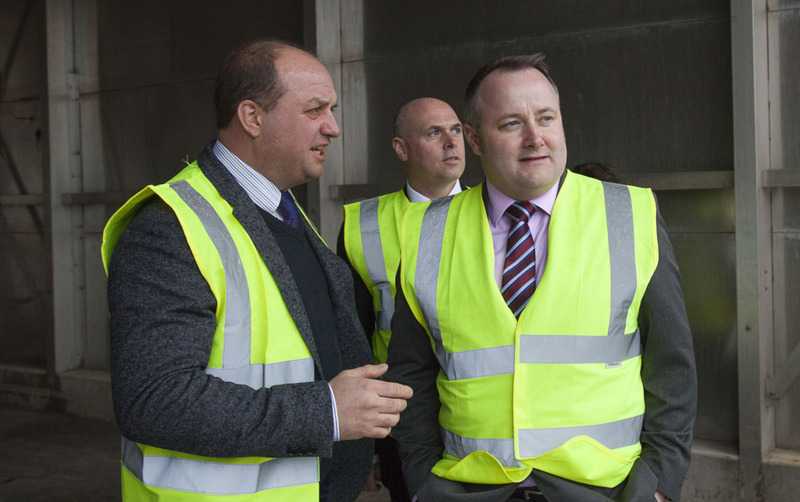 They recently hosted an event as part of the Welsh Government’s Inside Welsh Industry programme to showcase the sustainability and innovation of their processes. Richard Jones added: “Our business is very efficient, we maximise what we can recover from the timber we purchase, everything is utilised because we have to make the most of everything we buy. Clifford Jones Timber send shipments of their fence posts as far afield as the Falkland Islands while other clients for their timber products have included Center Parcs, a luxury treehouse builder, award-winning vineyards and a deck-chair company. This entry was posted in Business, Environment, News. Bookmark the permalink.